Control access and improve security, track workers and improve safety, track work in progress through the manufacturing line and improve efficiency. Do you have a need? 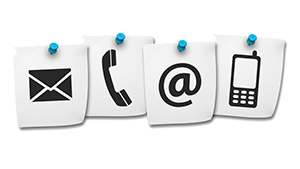 We have a system contact our experts and we'll help solve your problem with RFID. The Manufacturing industry includes of many different sectors such as textile and clothing manufacturing, pharmaceutical manufacturing,iron and steel mills, and construction machinery. This industry contains many more sectors, and they all operate under the similar goals of keeping costs down, increasing asset utilization, and delivering products faster. 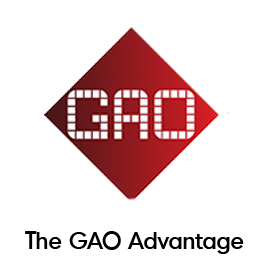 GAO RFID’s suite of RFID solutions provides a way for manufacturers to address these concerns, ultimately helping them stay competitive. Within today’s competitive global landscape, manufacturers are looking for new ways to reduce labour, keep material costs low, and limit production errors; all while increasing product quality and speed of delivery. Expensive manufacturing equipment and critical IT assets are the backbone of manufacturing facilities. Managers want to have a clear picture of the equipment inventory and utilization to ensure efficiency and uptime. And with IT assets being assigned and moved across the enterprise, knowing what is currently in use and where it is located are important to keep capital expenditures within budget. Both manufacturing equipment and IT assets can be tagged with RFID tags to provide full item visibility on location and utilization in real-time. Automated operations means managers can quickly identify and locate assets, tally asset usage, and be informed of maintenance schedules. With increasing competition, attaining lean, accurate processes is the ultimate goal of the industry. Manufacturers require accuracy in managing work-in-process and be able to identify each item in a process flow, all while keep stock levels at a minimum to keep operating costs low. And when high-value products are delivered to customers, the ability to identify and verify the goods has become a growing need. Specialized RFID tags can be used to track and identify work-in-process inventory to gives you a real-time view of items as they move through each stage. Knowing exactly what items, how many you have, and when they are being used allows you to stock only what you need and keep operating costs lean. From receiving to assembly to shipping, managing the efficiency of the entire production process is crucial to success. When receiving materials for assembly, being able to quickly verify and inventory the items are a must. When on the staging floor, having the ability to track goods on each staging line to look for errors would help to increase the efficiency of the entire assembly. Using RFID tags, every item can be identified and tracked in real-time. As the items move through each area on the staging floor, they are monitored continuously to detect possible errors in the staging line. All of these processes are automated and you will be alerted of errors instantly so that corrections can be made on the spot. Manufacturing facilities have many zones that requiring monitoring and security. Whether it is production rooms, inventory warehouses, or parking garages, it is important that only authorized personnel are granted access. Assigning RFID badges to your personnel and visitors enables keyless and handsfree access for authorized persons in your facility. All access activity can be viewed easily via reports generated by the system. We are here for you. We can help tailor an RFID system around your manufacturing client's needs including custom reports and software solutions combined with all the right hardware. Would you like to know more about RFID Systems and how it applies to your specific company and needs?